When you need automotive brushes to ensure the cleanliness and proper functioning of your automobile, Brush Research Manufacturing has the solutions for you. Our Caterpillar overhaul automotive brushes are perfect for injector cavity seating. 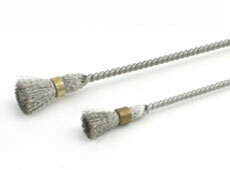 Using these brushes reduces the time it takes for quality engine overhaul and maintenance. 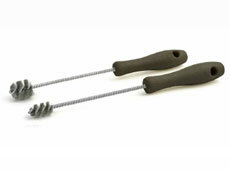 To place an order for our automotive brushes, contact your local distributor today. CAT1 .005" SS .900 7/8" 10 1/2"
CAT2 .005" SS 0.625 5/8" 10 1/2"